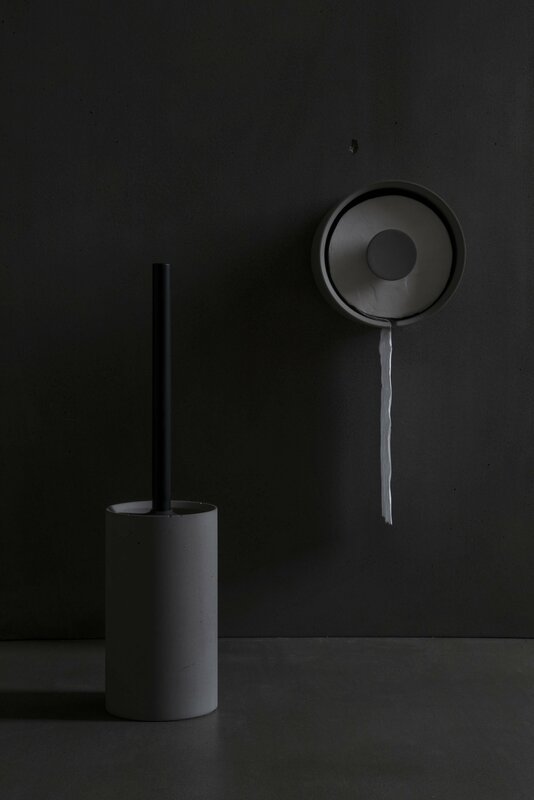 Concrete bathroom accessories for minimalism lovers. Keeping a bathroom looking minimal and airy is easy. If you have a practical cabinet where you can hide most of your stuff, that is. Chinese design brand Bentu decided to offer a convenient storage and display solution for smaller items, everyday products, and accessories that even the most ardent minimalism fan would love to use. 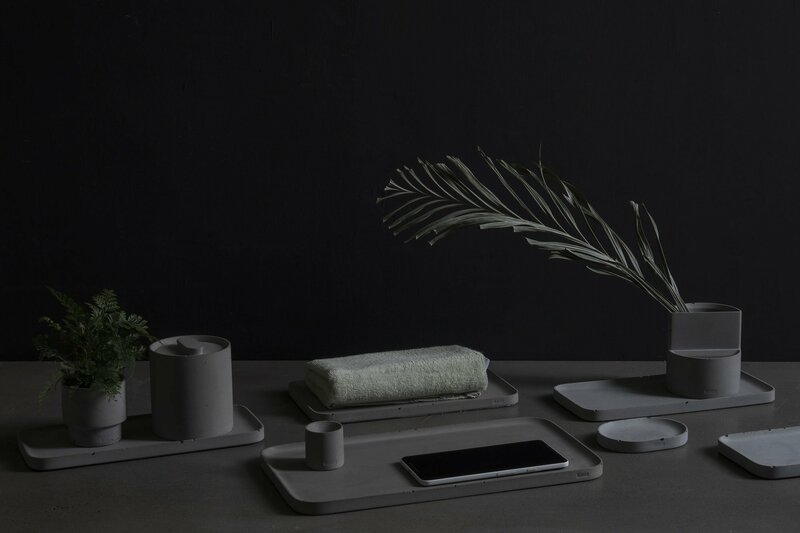 Named Hui, this collection of concrete bathroom accessories includes everything you need to keep products neatly stored and always within reach. Perfect for any interior, the line has a minimalist aesthetic, blending clean lines and simple geometric shapes in a versatile design. The range features a toothbrush and toothpaste holder as well as a handy cotton swab holder. A compact but spacious tray offers plenty of space for smaller items. The tissue box and the toilet roll holder keep paper hidden from sight while maintaining the clean look of your bathroom. A soap dish, soap dispenser, and toilet brush holder complete the lineup. Made from concrete, each product has its own textures and character. Of course, this also means that every product is one-of-a-kind. 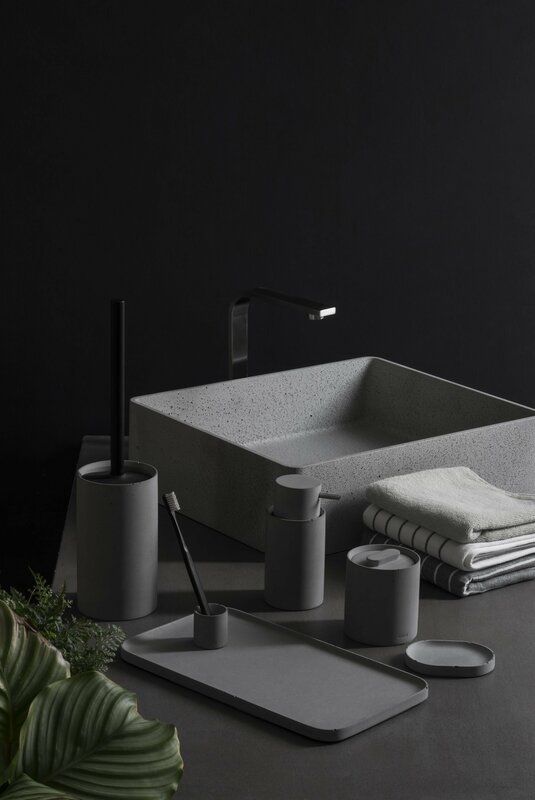 More than just a collection of concrete bathroom accessories that celebrate simplicity with functional design, the Hui range also features a special kind of concrete. 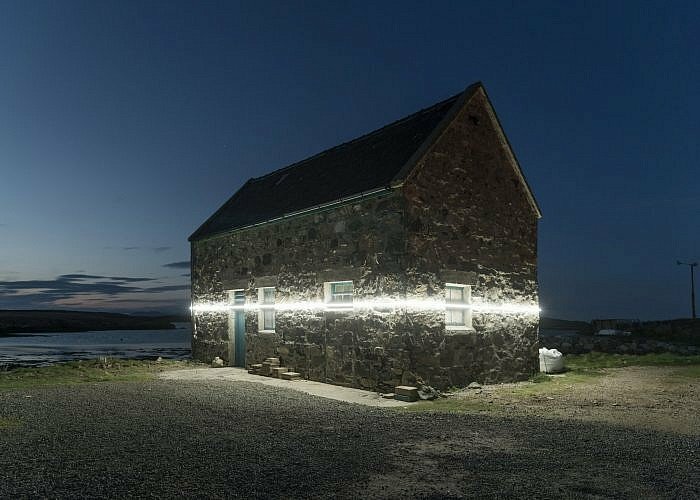 The studio uses leftover material from demolition sites to craft each product. As a result, these items keep at least some concrete waste from reaching landfills. At the same time, the range also gives waste concrete a new purpose and lease at life. Thanks to their clean, understated design, all of these concrete bathroom accessories work well together or on their own. The user can mix-and-match products as needed and use Hui in any bathroom decor. An elegant solution to organize essentials while enhancing the look of a bathroom. Photographs© Bentu.